Thanks to our donors we now have two greenhouses and some covered outdoor beds. Our first community greenhouse, built in May 2011, is located at the Rec Grounds near the tennis courts and playground. It's a great location for families or folks who come down to play sports. 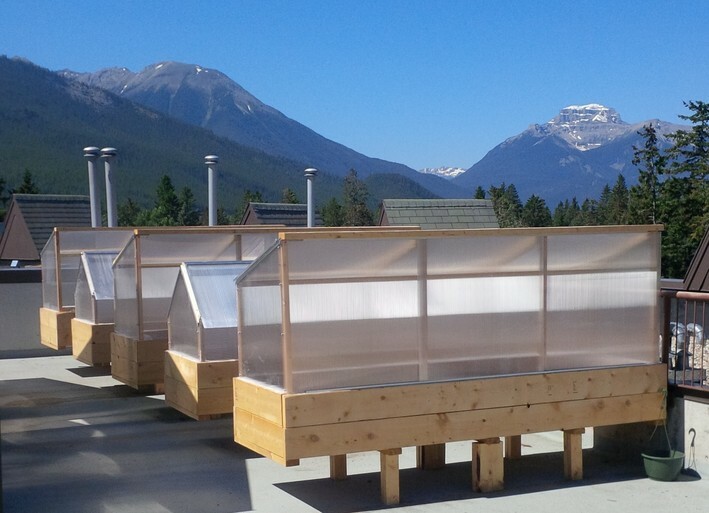 Built in May 2013 on top of the Cascade Plaza Parkade, our newest greenhouse has a nice breeze to regulate the temperature and enjoys a great view over Banff.